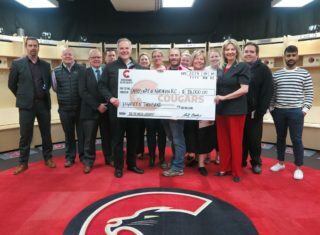 THE SEASON:The Prince George Cougars franchise is in their 25th season in the Western Hockey League. The Cougars record is 16-30-3-2 through 51 games this season. The Cougars sit fifth in the B.C. Division, nine points out of a playoff spot in the Western Conference and are 0-8-2-0 in their last 10 games. LAST GAME: The Cougars lost their 10th-straight Tuesday, losing a 4-2 to the Vancouver Giants at the CN Centre. 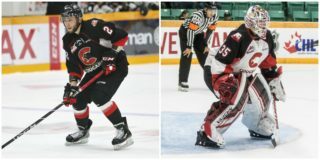 Josh Curtis and Vladislav Mikhalchuk scored in the second and third periods respectively and Taylor Gauthier stopped 27 of 31 shots in the Cougars’ crease. The Cougars are 1-6-0-0 in seven games against the Giants this season. The Cougars are yet to beat the Giants on home ice this season, as they’re winless in three games. Their last win at home against the Giants was January 10th, 2018 [4-3 OT]. TONIGHT’S OPPONENT: The Vancouver Giants sit first in the B.C. Division and second in the Western Conference, with a 34-13-2-1 record. The Giants have an 18-point lead atop of the B.C. Division. They’ve won five of their last seven and eight of their last 10 games [8-1-0-1]. The Giants haven’t lost back-to-back games since January 4th. 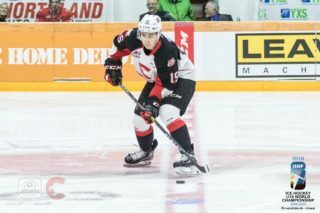 NHL Draft Prospect Bowen Byram was named the WHL Player of the Month for January after he piled up 19 points (10-9-19) in 13 games. VERSUS VANCOUVER: 3-0 L vs. VAN (Oct 5th), 3-2 L vs. VAN (Oct 6th), 2-1 L at VAN (Nov 10th), 1-0 W at VAN (Nov 11th), 2-1 L at VAN (Dec 16th). 4-2 L at VAN (Feb 2nd), 4-2 L vs. VAN (Feb 5th), vs. VAN (Feb 6th), at VAN (Feb 10th). ROSTER BREAKDOWN: The Cougars roster sits at 22 players (2 goaltenders, 7 defensemen, 13 forwards). The rosters include seven players selected in the WHL Bantam Draft, eight players via trade, four signed players and two selected from the CHL Import Draft. A breakdown by region includes eight players from B.C., seven players from Alberta, two from Saskatchewan, one player from Manitoba, two from the United States and one from Belarus and one from the Czech Republic. There are 16 WHL veterans and six WHL rookies. NUMBERS: The Cougars have been held to two or less goals in each of their last 10 games. When they score four or more goals, they’re 6-2-0-0. Vladislav Mikhalchuk (1-3-4) has four points against the Giants and has points in four-straight games (3-1-4). The Cougars have scored a power-play goal in each of their last four. GAUTHIER, MOBERG RANKED:Taylor Gauthier and Cole Moberg were both listed in NHL Central Scouting’s midterm rankings. 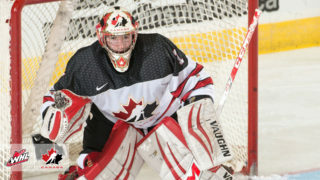 Gauthier is ranked fifth among Northern American Goaltenders and Moberg is 175thamong Northern American Skaters. The pair are among 48 WHL players listed in the midterm rankings. LINE UP: The Cougars are without defenceman Joel Lakusta (upper-body), forward Ilijah Colina (personal) and goaltender Isaiah DiLaura (upper-body). 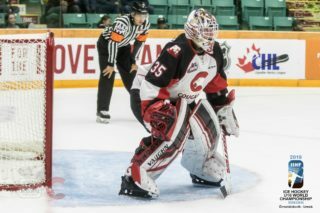 Taylor Gauthier will start once again in the Cougars’ crease. The Giants didn’t dress defenceman Dallas Hines (injury) and forward Dawson Holt (injury). Trent Miner got the start last night for Vancouver, so we may see David Tendeck in goal tonight.